On Saturday, 26th September 2015 Ahmed Mahdi Al Faqi was arrested and delivered to the International Criminal Court at The Hague. He is charged with war crimes, the deliberate destruction of religious or historical monuments in Mali and especially the irreplaceable ancient shrines of Timbuktu, in 2012. Of course no such chemical and biological agents existed – and in 1998 the UN Inspectors had fled to the safety of Bahrain on the orders of Richard Butler, who then headed the team, having been tipped off that the US and UK were to bomb Iraq again, illegally, in time for Christmas. To clarify “obstruction.” As one who was in Iraq numerous times during the UN weapons inspectors tenures and who witnessed their arrogant, discourteous, uncivil behavior towards Iraqis staggering financially under the weight of the crippling embargo. 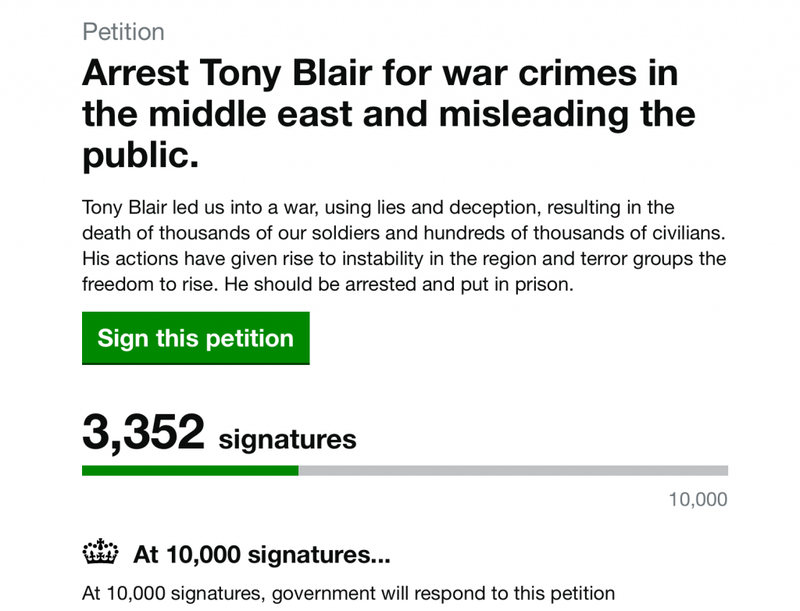 Iraq was however charged for their accommodation, vehicles, living expenses, salaries. “Obstruction” became a sick game. Obstructions” were noted and reported to the UN as non-co-operation on behalf of the Iraqi authorities, building a case for further bombing or invasion. These almost invariably occured when the weapons inspectors turned up unannounced, out of hours so the facility to be inspected was, naturally, deserted. They would drive away and note it as an obstruction – or if they called the owner or manager and he had to get dressed and drive for an hour to get there to let them in, that too was an “obstruction. The shrouded aerial bomb as claimed in Claim 1, wherein the penetrating body is formed of depleted uranium. This and 6 other US patents verify the development of guided weapons and sub-munitions with Uranium warheads … An additional problem is emerging from my recent investigations. It seems likely that US arms manufacturers may be using standard, not depleted uranium in new weapons i.e. Uranium metal with the same isotopic mix as natural uranium (99.3% U238, 0.7% U235). “ The full Report was attached to the letter. This would explain why researchers in Hungary and Greece detected increased airborne Uranium dust soon after the Balkans bombing began, but that it appeared to be natural, not depleted uranium … Independent researchers are now alert to this possibility. I hope Ministry of Defence staff are also considering it. Unfortunately standard uranium is more radioactive than depleted uranium. I guess that the UK Storm Shadow cruise missile, also suspected of using Uranium components, has been tested in Afghanistan and will be operational in a new attack on Iraq. Other known or suspected Uranium weapons not needed in Afghanistan (e.g. anti-tank systems) will also be used in large quantities in Iraq. The implication is that at least 1,500 tons of Uranium weapons will be used to prosecute US war plans in Iraq, greatly increasing existing Uranium contamination from 1991 and jeopordising allied troops and Iraqi civilians alike. Can you justify using known weapons of indiscriminate effect to defeat supposed weapons of mass destruction? The US has scant regard for international law in its military operations. What is your Government’s view on knowingly using weapons of indiscriminate effect in Iraq? This letter puts you on notice of that issue. UK forces are accountable to you. The use of such weapons contravening international law must be a political, not military decision, preferably decided by Parliament. Regardless of your obligations under international law … I suggest you have moral obligations in this matter. How will you justify risking the slow death of tens of thousands of people whose lives will be irreversibly affected by Uranium contamination? The word genocide comes to mind. This may not concern President Bush. I hope it will concern you, your Cabinet and all MPs asked to support your plans now you are alerted to the latest evidence about Uranium weapons. With respect Prime Minister I suggest you need a lot more facts before you commit more UK troops to a new war in Iraq. At this time you face being drawn by the Pentagon and US Government into the greatest military scandal since Agent Orange in Vietnam. Since Williams prophetic words former UN Secretary General Kofi Annan has declared the Iraq decimation illegal stating: “I have indicated it is not in conformity with the UN Charter, from our point of view, and from the Charter point of view it was illegal.” (7) The UN’s former Chief weapons Inspector, Hans Blix has echoed this view, telling the UK Iraq Inquiry: “I am of the firm view that it was an illegal war. There can be cases where it is doubtful, maybe it was permissible to go to war, but Iraq was, in my view, not one of those.” (8) Numerous international law experts concur, as have many legally led public Inquiries as the 2011 Kuala Lumpur War Crime Tribunal, a seven Member panel chaired by former Malaysian Federal Court Judge, Abdul Kadir Sulaiman. UNESCO has described the destruction and pillage of Iraq “cultural cleansing.” If a man is deemed a war criminal for the terrible destruction of history in Mali is and delivered to the ICC, Bush and Blair – whose actions destroyed virtually the whole of Iraq, a swathe of it’s history and set in train the ongoing destruction, indeed genocide, should be treated no differently. 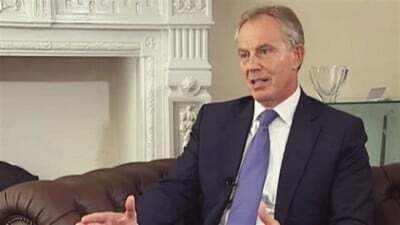 Tony Blair’s assertions in Parliament in 2002 were integral in the excuse for the illegal invasion and ongoing bloodbath now also engulfing Syria. If you care for the law, for humanity, if eligible, please sign the petition.